In the words of the Wall Street Journal: "Jane Chapman is one of Britain's most distinguished classical harpsichordists, with a repertoire that stretches from early music to contemporary avant-garde. Her work is rapidly bringing the harpsichord into the 21st century and establishing her reputation as a rule-breaker." 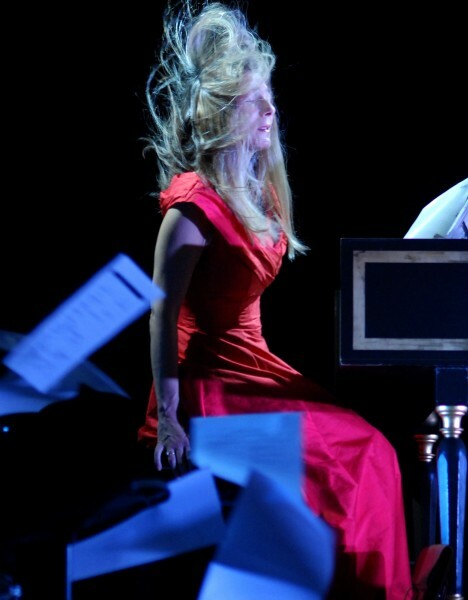 Described in The Independent on Sunday as "Britain's most progressive harpsichordist", and in the Guardian as "a fearless contemporary music performer" Jane Chapman is at the forefront of creating and inspiring new music for harpsichord. She has premiered over 200 solo, chamber and electroacoustic works for the instrument worldwide. Equally passionate about baroque and contemporary music, she has collaborated with ground-breaking composers, artists and dancers, working with musicians from the worlds of Indian music, jazz, and the avant-garde. She is a frequent partner in chamber ensembles, such as Trio Aporia, which specialises in contemporary and baroque music on period instruments, and Keynote + with Kate Ryder (prepared piano). Through her innovative performances, she aims to bring the harpsichord to a wider public, and to combine repertoire in ways that engage and challenge her audiences. "Her progressive spirit and comprehensive technique have inspired composers to forge new parameters and sound worlds for the harpsichord with works of unprecedented musical and technological scope" (Harpsichord & Fortepiano). Described as "Stylish and eloquent" by The Times, her recordings and recitals reveal both a scholarly and inventive approach to the baroque repertoire. Her CDs of 18th-century English music, 'The Lady's Banquet', and of the 17th-century French Bauyn Manuscript, offered the first extensive overviews of important sources previously unexplored on disc, and were both highly acclaimed - "One can count on technique to burn and faithful observance of stylistic conventions" (The Musical Times. Recent recordings include: 'The Oriental Miscellany' SIGD415, awarded the Preis der Deutschen Schallplatted Kritik for keyboard, works with electronics WIRED (NMC), Three Windows (Dark Energy Music)with Mark Wingfield (electric guitar) and Iain Ballamy (sax), Berio's 'Rounds' (mode), New York Times pick of the year, awarded the Preis der Deutschen Schallplatten Kritik, electroacoustic works by Simon Emmerson (Sargasso). Jane has compiled and edited two issues of Contemporary Music Review on the performance of new music for harpsichord. Jane received a British Council scholarship to study harpsichord with Ton Koopman at the Amsterdam Conservatory. She is Professor of harpsichord at the Royal College of Music, and Turner Sims Fellow at the University of Southampton. She was recently artist in residence and King's College London, supported by the Leverhulme Trust. She is an Honorary Fellow of Dartington College of Arts, and an Honorary Member of the Royal College of Music. An eclectic programme, from Bach’s Chromatic Fantasy and 18th century transcriptions of Indian music, to 20th century classics by Ligeti, and new work including electronics and music boxes. 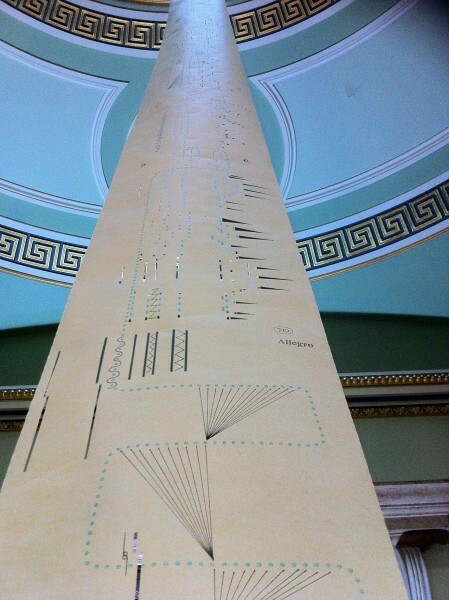 Lace patterns from the Nottingham Lace Archive are turned into music. The lines of these patterns have been re-encoded as a punch card for a music box, recorded, chopped up, and a harpsichord part added to the mix. The sound of the music box is played back as the harpsichord part imitates, interweaves and interrupts. This work is the result of a collaboration with artist Danica Maier. From Byrd to Bird - Jane Chapman brings to life music from the Fitzwilliam Virginal Book and the Oriental Miscellany in this hour-long programme. Music from the 17th century Bauyn Manuscript - Jane has selected many rarely heard pieces by French composers such as Dumont, Hardel, La Barre, Monnard and Richard, as well as those by Chambonnieres and his pupil Couperin. Step into new worlds and tear down your idols. Music meets dance, film and electronics in an evening exploring movement: the body, sound and geography. Built around the imagery of doors and the crossing of waters, we step into a soundworld of journeys and yearning through Kaija Saariaho’s ballet Maa, and Sohrab Uduman’s Breath Across Autumnal Ground, featuring celebrated harpsichordist Jane Chapman. 10/3 - Turner Sims Southampton - Extrapolations - Premieres by Leo Loebenberg (Facing the Flow), Leo Grant, Alexander Glyde-Bates, Jamie Howell, Mark Wiseman. 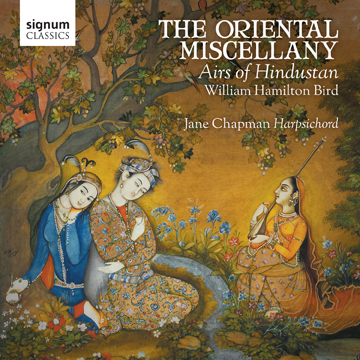 Arranged and adapted by William Hamilton Bird, the Oriental Miscellany is the first published transcription of Indian vocal music in Western notation for harpsichord, taken from live performance. Published in Calcutta in 1789 it was considered an important historical source, reflecting Western fascination with the East, and the vogue for Hindustani Airs. "The harpsichordist Jane Chapman is known for her fearless advocacy when it comes to unconventional discoveries. The Indian songs transcribed and edited by William Hamilton Bird are a genuine trouvaille, one of the first, if not the first, examples of musical orientalism. This recording comes so lively, fresh and inspiring that musical knowledge and listening pleasure are equally guaranteed. Chapman always discovers new facets of the harpsichord, rarely has this instrument been more timely and up-to-date than here. In a nutshell, a hitherto unknown work is opened up and so gorgeously performed that one is lost in admiration." "This is an intriguing recording…. a fascinating and agreeable collection. Jane Chapman uses the harpsichord's features - machine stop, lute stop - to full advantage. Played with flair and panache by flautist Yu-Wei Hu." "(Jane Chapman) takes full advantage of the sonic effects and exotic possibilities of the restored 1722 Jacob Kirckman harpsichord she has chosen for the recording. The range of colours and textures is dazzling, and at sometimes wonderfully suggestive of an Indian sitar. Delicious improvised additions … The playing is smart, clean, refined and inventive." "Remarkably colourful performances…ornamental flourishes unlike anything found in European music of the time." Went to number 16 in the Indian Classical Charts! Recorded on an original Kirckman harpsichord at the Horniman Museum. Research undertaken as Artist in Residence at the Foyle Special Collections Library, King's College London, supported by the Leverhulme Trust (see links). Performances of Hindustani Airs: Music Gallery, Horniman Museum, Chawton House, Dartington Summer School, The British Library - The Courtesan and the Memsahib - presentation with Katherine Schofield, Hay Music with Yu-Wei Hu. Works by Jung Sun Kang, Jurgen Kraus, Satoru Ikeda, Larry Goves. 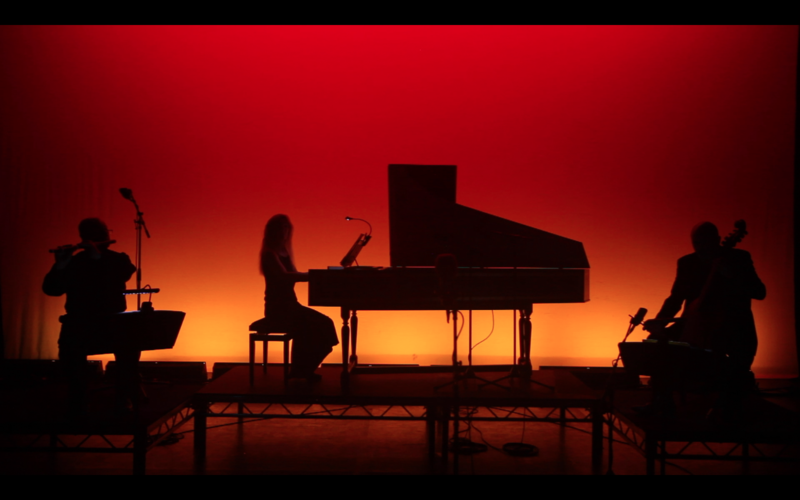 PREMIERE: Diana Burrell 'Gemini' for solo harpsichord Harwich Festival, 5/7/15. REINVENTION - this programme originally performed at the Merkin Hall, New York and Bath Festival, juxtaposes Bach's Inventions and Sinfonias with short contemporary works. 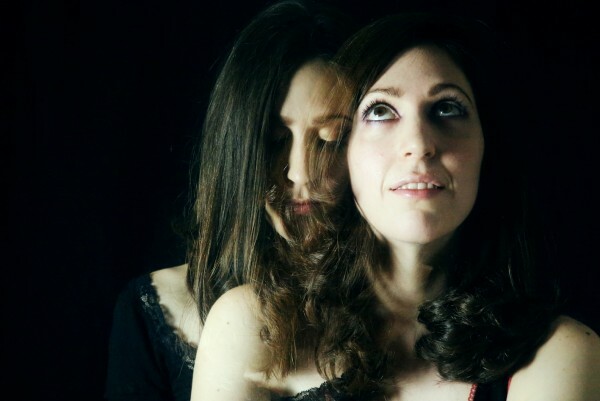 NEW COMMISSION - RITUALS TO MOULD HER WITH Effy and Litha Efthymiou bring their new multimedia venture to Kings Place, Turner Sims and RWA this autumn/winter. Like all their staged compositions, it has a strong theatrical, choreographic and directorial style, fusing music for harpsichord, electronics, percussion and found objects with theatre and movement. The project unites Jane Chapman, with two rising stars of the theatre and dance worlds, actor Esme Patey-Ford (West End debut Hand to God, Vaudeville Theatre) and dance artist Harriet Parker-Beldeau (recent collaborator of Willi Dorner, Charles Linehan and Wayne McGregor). ‘Rituals to Mould her With’ is a conceptual stage work inspired by the musical ritual that celebrated the Virgin Mary in early-medieval Spain. The composers and performance artists have drawn material from 1500-year-old manuscripts and engaged with cutting-edge research at the University of Bristol, uncovering how the ‘Mary Ritual’ was a loaded and powerful tool used by prominent men to shape and communicate male ideals of femininity. Rituals To Mould Her With from Litha Efthymiou on Vimeo. 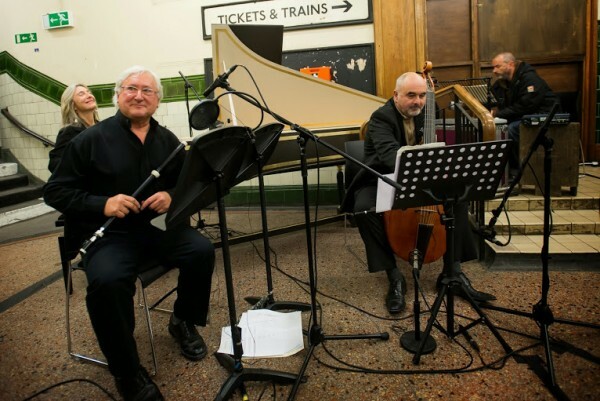 TRIO APORIA Stephen Preston baroque flute, Richard Boothby viola da gamba, Jane Chapman harpsichord with Paul Whitty composer - Electric Underground - electroacoustic works performed at Aldwych tube station (King's College Festival) New works for Kings Place 2016. 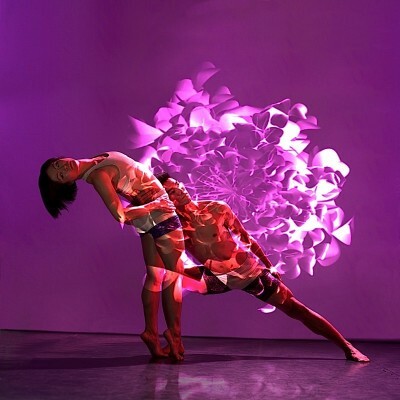 Collaboration with Gabriel Prokofiev and Shobana Jeyasingh Dance 2014 Strange Blooms. Electroacoustic composition taking various recordings of Jane performing a Chaconne by Louis Couperin. 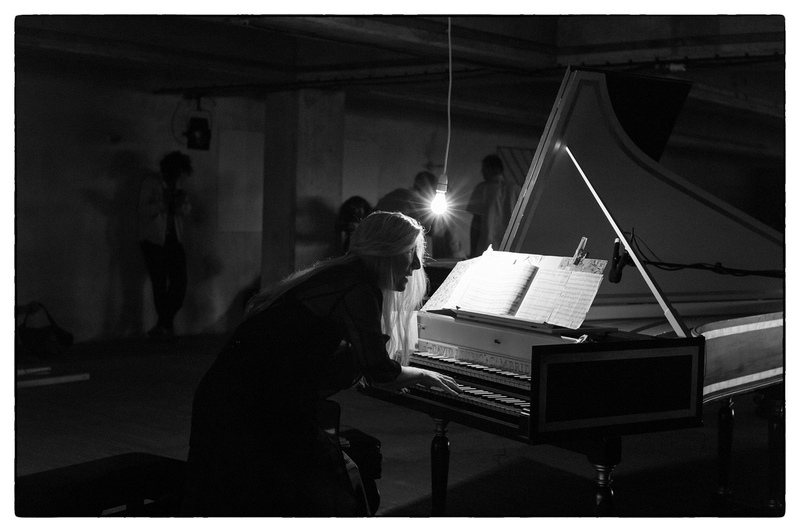 Performance at London Contemporary Music Festival juxtaposing baroque and electroacoustic repertoire - Peckham Car Park 2013. Adjudicator BHS Contemporary Harpsichord Composition Competition, and the Horniman Composition Competition 2013/14. Adjudicator for the Jurow Harpsichord Competition, USA, 2016 Historical Society of North America. HPSCHD Cage's seminal work for 7 harpsichords, 51 tapes, visuals (Variable Geometry, RCM, Feb 2012). Tatton Park (National Trust) collaboration with film maker and artist Aura Satz (September 2012) - new works by Larry Goves and Leo Grant. New works by young composers projects with: University of Liverpool, King's College London, Trinity College, NMK (Stavanger, Bergen, London), York University ( Spring Festival), University of Southampton, Royal College of Music.